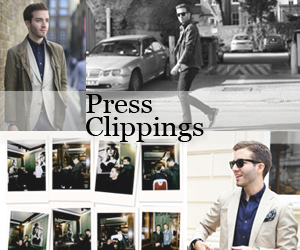 This past week I stopped by the Clarks FW15 preview to have a look at the new styles we will be wearing in six months. I'm a big fan of the brand and proud owner of several pairs so this is always more of an occasion to make my personal wish list ahead of time. Everyone's all-time favourite are obviously the desert boots, which no one makes like them. The new earthy tones on offer are perfect for the colder months and they're an easy way to add a touch of colour and texture to a look. For FW15, the brand continues to play with new patterns and materials – my personal favourites the navy check print and the suede and wool felt combo. A personal highlight from the new collection was the style directly below – a very Clarks take on a skater sneaker, which I will definitely be buying in at least a couple of colours. It's not easy to find good boots but I found at least two brilliant options from Clarks for the coming season. One more formal – a grainy tan leather brogue boot perfectly finished with a leather and rubber sole (you need rubber if you live in a city where it rains) and a more casual and super light option in a maroon leather and a commando sole detail. 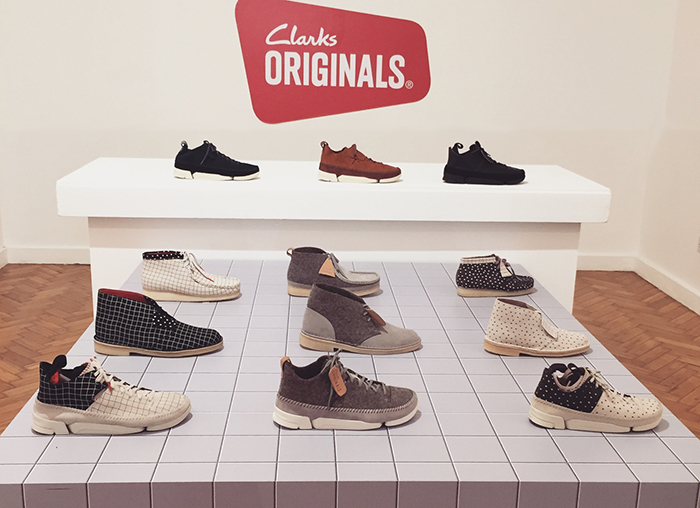 If, like me, you can't quite wait a few months to have a few new pairs you can head over to the Clarks website to quench your thirst for shoes. If that is even possible.